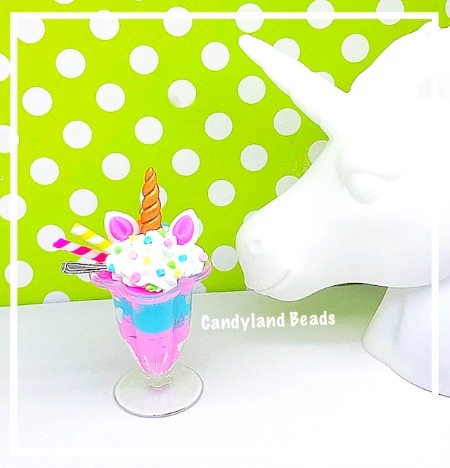 You will receive 1 Unicorn Sundae which is 2 inches in height. This item is available as a charm with eye hook or as a stand alone miniature. Please let me know your choice upon checkout. *If you would like this as a Planner Charm with chain and clasp, please also purchase the Planner Charm Add On option located in the Planner Accessories Category. You may choose a gold or silver chain and clasp.